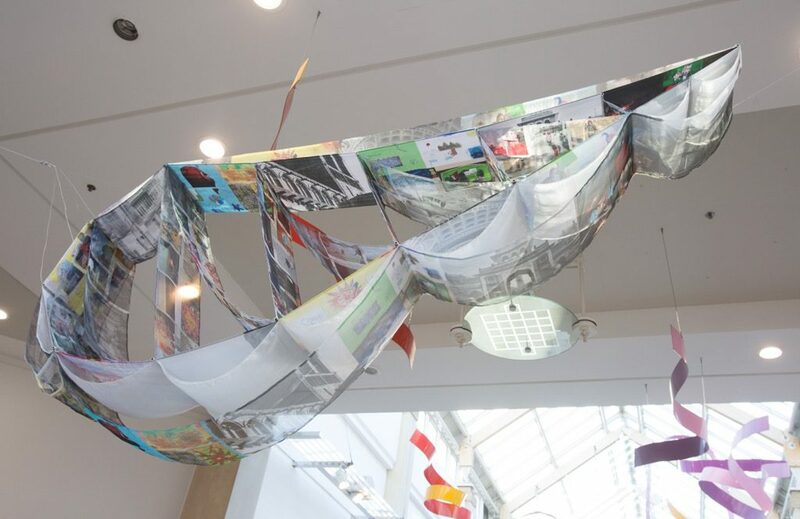 School pupils from Paisley and India have bridged the 4,000 plus miles between them to create unique artwork based on their shared lives. The Paisley and Jodhpur Digital Tapestry brought together 100 young people from two continents, who exchanged photographs on image sharing website Cluster to gain an insight into each other’s lives. Like Paisley, the city of Jodphur in the north western state of Rajasthan, has a strong textiles heritage. The tapestry created by Paisley pupils was unveiled on St Andrew’s Day as the town bids to be named UK City of Culture 2021. The decision is set to be announced by the Department for Digital, Culture, Media and Sport which organised the competition, on the evening of December 7. 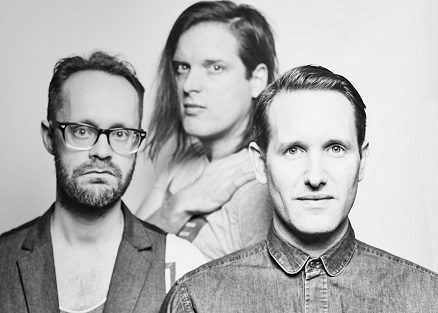 The installation is the second half of a project, which launched with a Musical Tapestry collaboration between Scottish and Indian musicians, at Paisley’s annual Spree Festival in October . The concert was supported by EventScotland, part of VisitScotland’s Events Directorate and was earlier performed at the Rajasthan International Folk Festival, which is twinned with the Spree, thanks to support from the British Council as part of their UK/India Year of Culture 2017. The tapestry was unveiled by Renfrewshire Provost Lorraine Cameron at Paisley Piazza, where it will remain for the next six months. It was stitched together with thread donated by Coats, whose fortunes were interlinked with the town. 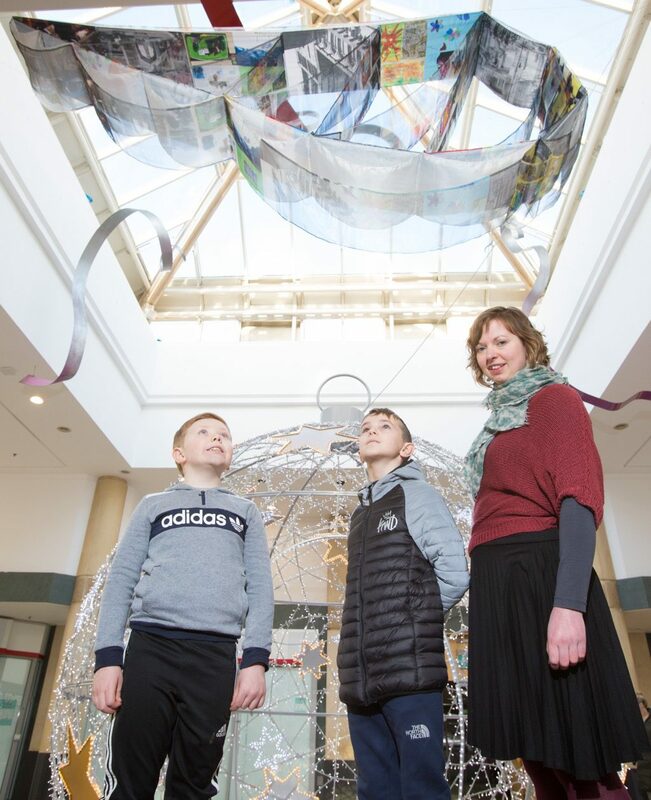 Provost Cameron said: “This is a remarkable public art project which saw young people from opposite ends of the world gain an insight into each other’s everyday lives, transcending any cultural or language barriers. The Scottish group, which involved pupils from Gryffe High, Paisley Grammar School and St Catherine’s, Gallowhill, Todholm and St Margaret’s primary schools, were invited to attend creative workshops with commissioned artist, Fiona Hermse. Young People from the Bredliand Flexible Learning Centre were also involved and as well as the photographs, pupils created collages, drawings and writing to celebrate both their differences and connections with Jodhpur and India. The images were turned into a digitized pattern which was then printed onto fabric in the shape of the iconic Paisley teardrop shape. The Indian participants created a digital image with the same shared photographs from their home in Jodphur along with artist Yogendra Singh Rajawat, which will be made public there on December 20. Artists Fiona Hermse said: “The biggest difference the pupils commented on when they saw the Indian photographs was the wonderful colour in them, including the blue houses in Jodphur old town. “They said the photos made them feel happy and reminded them of summer time, while some of the older children expressed an interest in either a career in the Arts or travelling to India one day. Scotland’s connections with the Paisley pattern began via Kashmir where it could be found woven into traditional patterned shawls. Textile companies in the UK began to produce cheaper imitations of the shawls and production spread to Paisley, whose name was given to the pattern. Glasgow Kelvin College students team up with Indian colleagues to host an exciting fashion extravaganza. Paisley Pattern forms the heart of cultural exchange show for Deputy First Minister and VIP Guests in India. Glasgow Kelvin has also developed links with two social inclusion projects in India – the globally recognised Make Love Not Scars project which supports the rehabilitation and employment of survivors of acid attacks and the Project Tres campaign which creates opportunities for women survivors of domestic violence. Joining the models will be survivors from these organisations who will courageously strut their stuff on the catwalk to showcase the myriad of designs and textiles created by the students. The event shines a spotlight on the great contribution which colleges and their students can make at an international level, expanding their own skills and cultural experience as well as promoting the role they can play in helping develop the global economy in a sustainable and inclusive way. Encapsulating the Scottish Government’s ambitions around internationalisation to encourage global citizenship, this visit is another prime example of the valuable contribution to be made by both colleges and universities working together to deliver a world-class model of collaboration, skills and cultural exchange. “The College is privileged to be a key part of this delegation to India. We are amazed at the creative skills shown by our own talented students and those of our partners at Guntur Polytechnic. The students should be very proud of what they have achieved and they are excited to be showcasing their work to the Deputy First Minister and important guests – it’s an incredible experience and opportunity for them all. “We are honoured to be part of the delegation and it’s wonderful that the Paisley Pattern is at the centre of such a worthy project that strengthens the links between students in Scotland and India and the bonds between the two countries themselves. 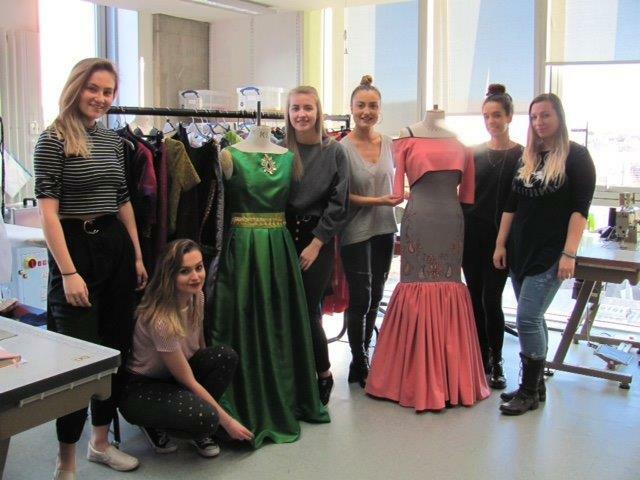 “Glasgow Caledonian University’s Fair Fashion Centre, located at our New York college, is proving the business case for sustainability by turning global industry issues into opportunities. “When considering the impact the fashion supply chain has on other industries – from farming an manufacturing to transportation, real estate and waste management – there are many distinct but entangled elements that must evolve together to create an industry that supports people, planet and profits. https://i1.wp.com/www.paisley.org.uk/wp-content/uploads/2017/11/IndiaStudentsgrouppre-trip1217.jpg?fit=640%2C480&ssl=1 480 640 Brian McGuire https://www.paisley.org.uk/wp-content/uploads/2015/09/paisley-logo-trans.png Brian McGuire2017-11-30 17:22:022017-11-30 17:24:18Off to India to Fashion the Future! 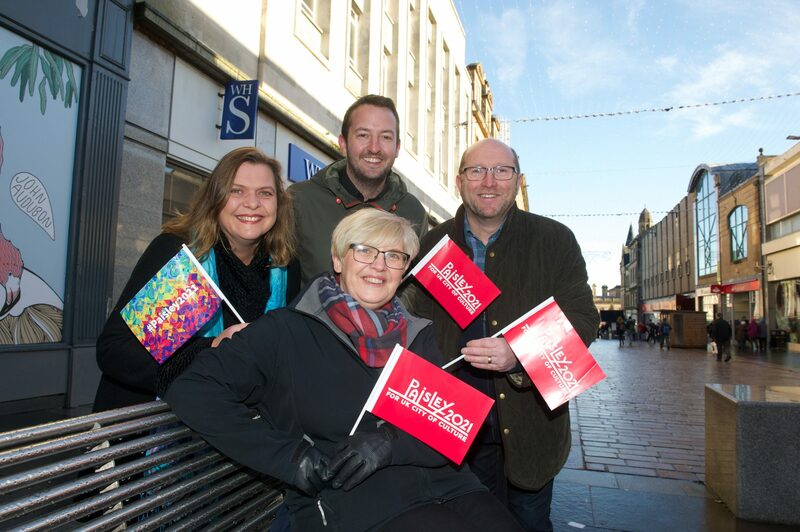 An innovative plan for a film and arts space at Paisley’s Baker Street has been overwhelmingly voted by the public as winner of the national “FutureTown” Design Competition. Plans to transform a derelict site at Smithhills Street, close to Gilmour Street station, into a new cultural quarter include a flexible 500 seat theatre space and 5 mini-screen film theatre – GFT/ Grosvenor in style with 170 to 70 seats. An unkempt wasteland currently greets 7 million passenger journeys passing through the town by rail. The potential to transform this site and in doing so the perception of the town is obvious and desperately needed. A new destination; a new place will be created featuring indoor and outdoor spaces that will make full use of the space to create something truly special. 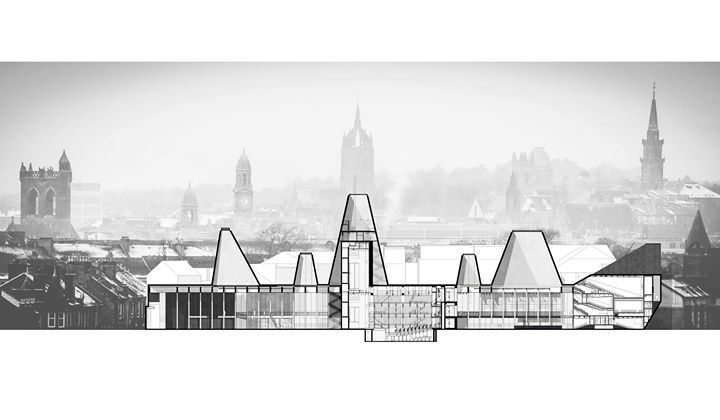 The new building (designed by award winning architects Stallan Brand) features light cannons designed to create a new skyline silhouette mirroring the famous Paisley Skyline in a contemporary way. Paisley has no better location or possess the imagination and transformational potential than Baker Street. 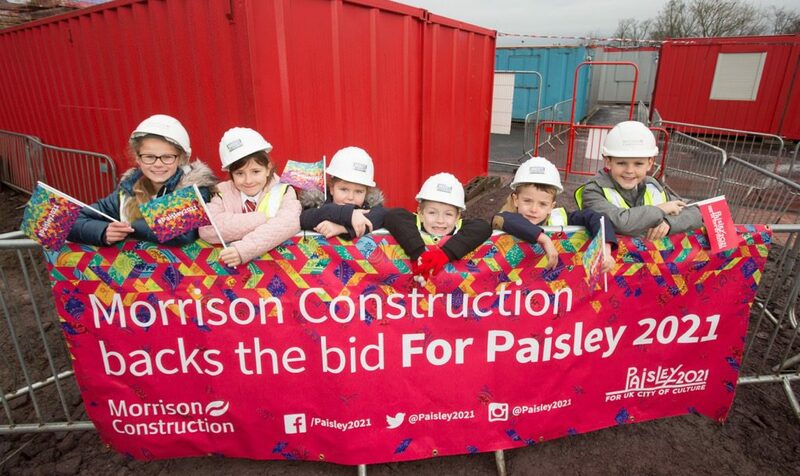 “We’re totally thrilled for Paisley to win this competition. It’s terrific to see Baker Street Paisley gain widespread recognition and endorsement through a national competition. A massive thank you to everyone in Paisley, Scotland and further afield who voted for Paisley to win. What we are creating is everyone’s. A facility, venue, space and hub for the community to use. “As we move into our next phase; we’re asking everyone to take Baker Street Paisley forward to the next level with financial backing. Final preparations are being made for the Paisley start of the 2018 historic rally run to Monte Carlo…..and it’s been confirmed there will be the largest number of entries so far with a total of 25 cars setting off for the 1500-mile trip to the South of France. 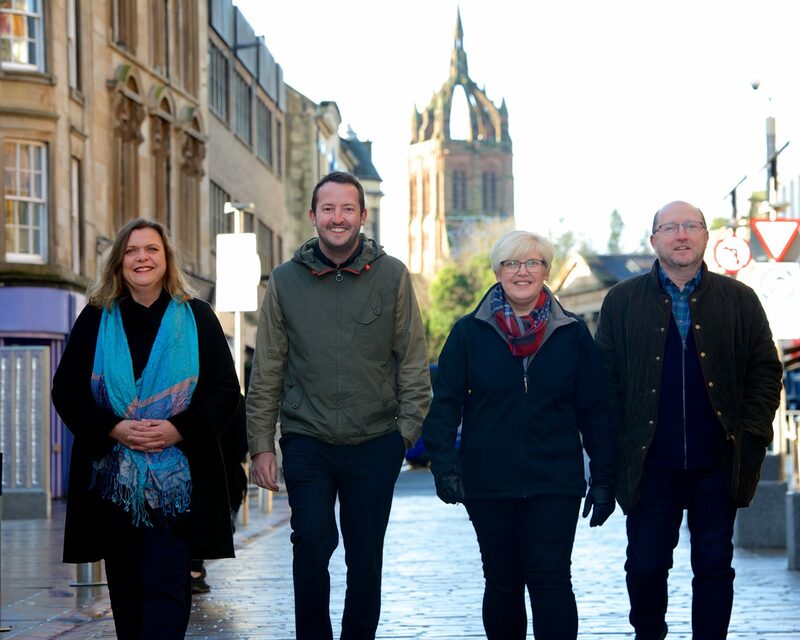 It’ll be the fifth time the town – the sole shortlisted Scottish entry for the title UK City of Culture 2021 – will be the only British start point of six European cities. Final preparations are being made for the Paisley start of the the 2018 historic rally run to Monte Carlo…..and its been confirmed there will be the largest number of entries so far with a total of 25 Cars setting off for the 15000-mile trip to the south of france.Itll be the 5th time the town -the sole shortlisted Scottish entry for the UK city of culture 2021 will be the only British start point of six european cities. All images © Gibson Digital 2017. Free first use only for editorial in connection with the commissioning client’s press-released story. All other rights are reserved. Use in any other context is expressly prohibited without prior permission. Close to a hundred cars in total are expected to leave the start ramp outside Paisley Abbey at 6pm on Wednesday January 31st in three separate categories. In January this year a crowd of around 10,000 gathered in the centre of Paisley with the magnificent backdrop of the Abbey to wave off the crews in a party atmosphere with lights, music, street food and fireworks…..and working with staff from Renfrewshire Council and volunteers from many motorsport clubs in Scotland, the organisers are confident of making the start even bigger and better next year. 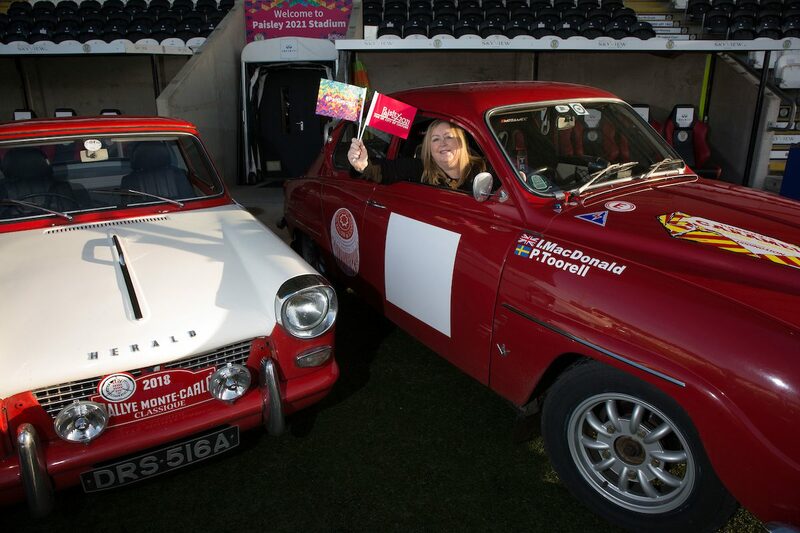 At today’s official launch of the 2018 event at St Mirren Football Club’s ground, the Paisley 2021 Stadium, Renfrewshire’s Provost Lorraine Cameron said: “We are delighted to welcome the only UK start leg of this prestigious international event back to Paisley for another year – and it’s great to have the support of St Mirren. “The cars are always a really popular spectacle which draw a big crowd into the town centre and I am looking forward to waving them off on the night as they head to Monte-Carlo. 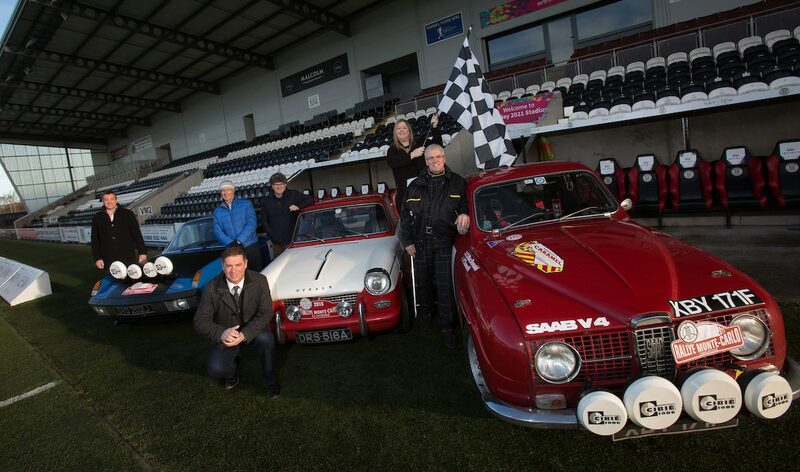 St Mirren chief executive Tony Fitzpatrick added: “Paisley means everything to St Mirren, so we support anything which helps put the town on the map – and Paisley’s bid to be UK City of Culture 2021 and this event both certainly do that. Among the entrants who’ll be heading for Monte Carlo in the Historique Class is Iain MacDonald of Kilmacolm, along with Swedish co-driver Patrick Toorell in his 1967 Saab 96. Also taking part in the Historiques is Sandy McEwen and Alan Stark in a rare 1971 Porsche 914/6 which Sandy has bought specially for the event. Although Sandy has more than 45 years of experience in motorsport including driving single-seaters, GTs, saloons and historics, he describes himself as “a rallying newbie”. One of the crews in the Classique Class is Albert De May and co-driver Roland De Bargigli from Belgium. They’ll be driving their 1936 Chevrolet Coupe and had originally planned to set off from Lisbon but when that start point was cancelled they opted instead for Paisley. One of Scotland’s leading construction firms has declared its support for Paisley’s 2021 UK City of Culture bid. Morrison Construction will make a five-figure contribution should Paisley take the title. More than 200 companies have shown their support, while 13 private sector organisations have committed over quarter of a million pounds if the bid is successful. Paisley has been short listed for UK City of Culture 2021, alongside Coventry, Stoke-on-Trent, Sunderland and Swansea. A decision will be announced in December by the Department for Digital, Culture, Media and Sport which organises the competition. Morrison Construction is part of the UK-wide Galliford Try Group, and has delivered more than £1 billion public and private sector projects over the last five years, including many schools and hospitals across Scotland. The company has also been involved in the construction of the iconic Falkirk Wheel and the Queensferry Crossing, which opened to traffic in August this year. 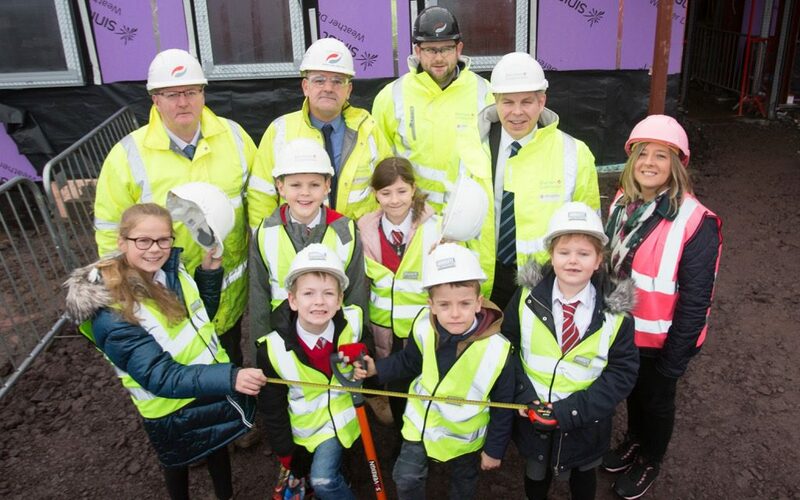 Morrison Construction is also currently working on Renfrewshire Council’s project to rebuild the shared campus of St Paul’s Primary School, Foxlea Early Learning and Childcare Centre and Foxlea Learning Centre in Paisley. 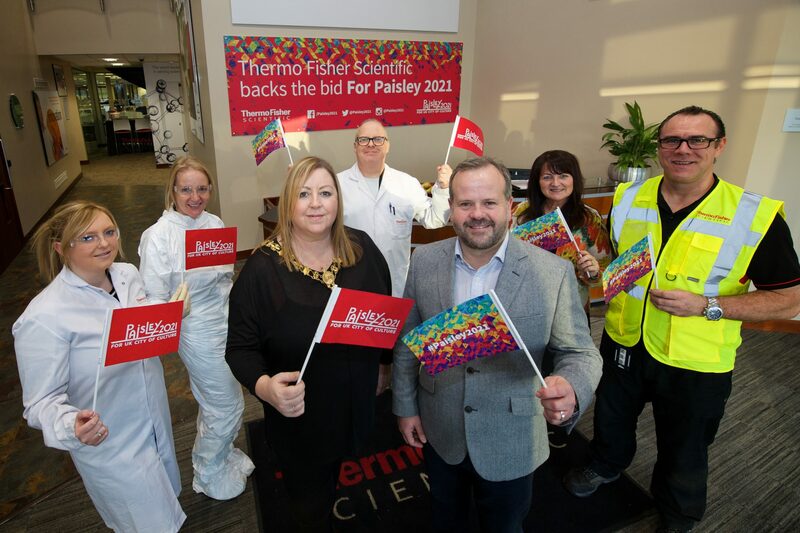 Renfrewshire Chamber of Commerce Chief Executive and member of the Paisley 2021 Executive Bid Team, Bob Grant welcomed the company’s support and said: “It’s great to have a company like Morrison Construction on board as a sponsor of the Paisley UK City of Culture 2021 title bid. We are very near to a decision and the scale of the support from the business community shows how widely the bid has been embraced. Morrison has strong links with Renfrewshire and its Community Benefits team has delivered careers presentations and health and safety talks at local schools including St Benedict’s High School in Linwood and Park Mains High in Erskine. 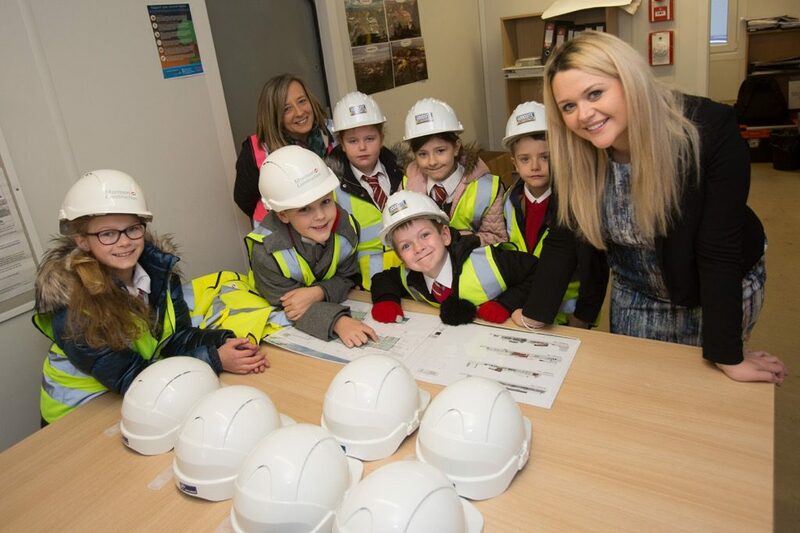 Over the past year in the west of Scotland, Morrison Construction’s Community Benefits activities have included more than 5,000 engagements with pupils and students, and 572 work experience days set up. The company’s projects across the region have seen the creation of 107 jobs and 92 new apprenticeships through the supply chain. Morrison Construction’s Regional Managing Director, Eddie Robertson, said: “We are excited about the new opportunities which would be sparked by a Paisley success in the UK City of Culture 2021. Other firms to have backed the bid include drinks giants Diageo and Chivas Brothers. Companies with international links like Glasgow Airport, intu Braehead and Thermo Fisher Scientific have also backed the town’s title ambitions. Coats PLC, the world’s largest industrial thread manufacturer and which still retains a presence in Paisley has also declared its support. Renfrewshire Chamber of Commerce and Paisley First, which represent 900 businesses between them have also backed the bid, along with local companies the Gordon Leslie Group, Clark Contracts, MacAsphalt and Scottish Leather Group, the largest manufacturer of leather in the United Kingdom. Trucking company WH Malcom branded two trailers with the Paisley 2021 logo, which have travelled the length and breadth of the UK. 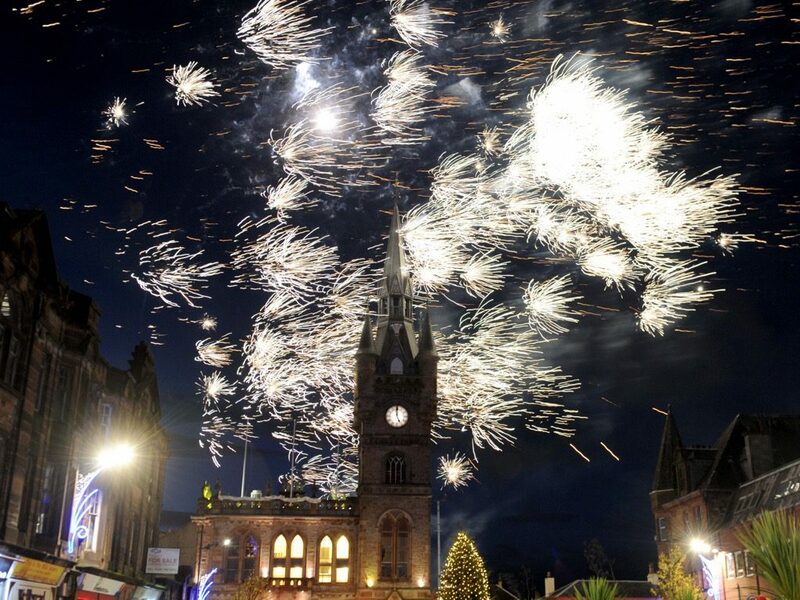 The skies above Renfrew came alive with the Christmas Lights Switch-On and a sensational fireworks finale as the countdown to the festive season begins. 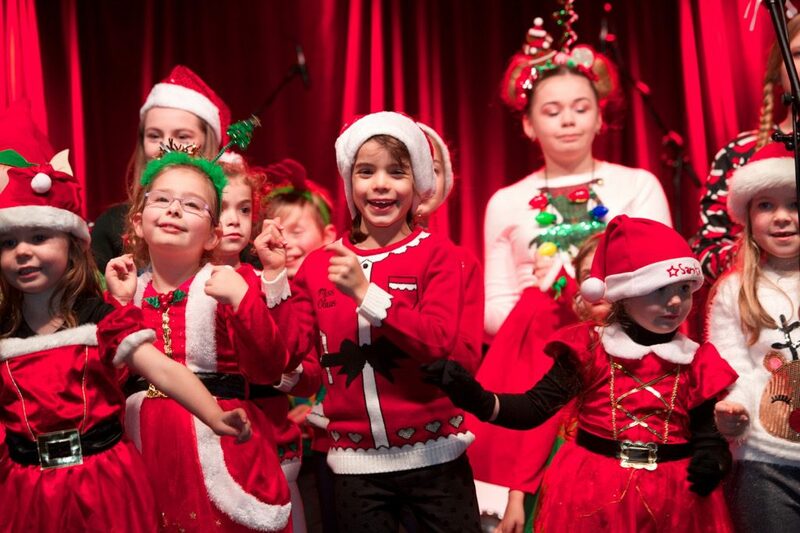 Crowds flocked to the town centre on November 25 to enjoy a host of free family activities in Renfrew Town Hall, including Big Top children’s drop in craft workshops. 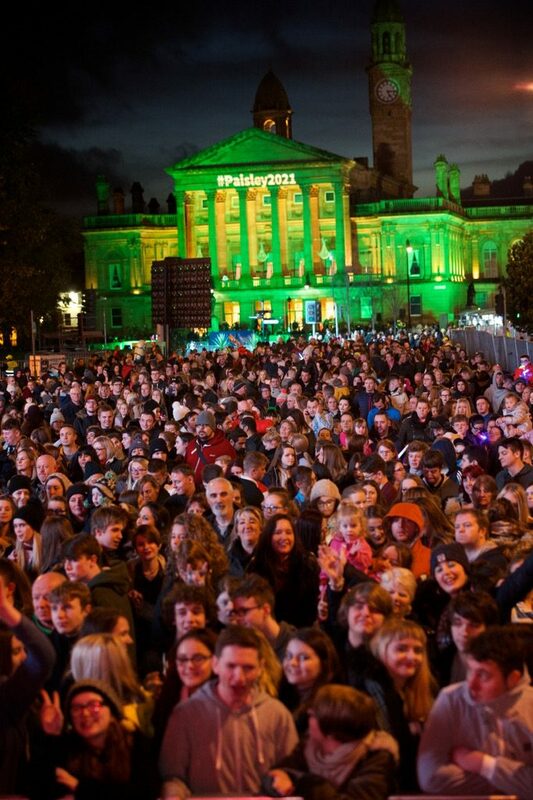 The event comes as Paisley bids to be named UK City of Culture 2021 and is itself part of the area’s Winter Events programme. Little ones were enthralled by Ipdip Theatres ‘Ssh, Elves are very shy’ interactive shows. Santa was on hand in his grotto to take Christmas list requests from boys and girls, with his trusty reindeers also proving popular. Kirklandneuk Primary School Choir added to the festive atmosphere while Renfrew Burgh Band entertained the crowds with a 30 minute performance. A funfair added to the excitement while DJ Gus from Pulse FM entertained the crowds from the live outside stage. A winner of the Provost’s Christmas card competition, school girl Erin Murray from Arkleston Primary was on hand to assist Provost Lorraine Cameron with the big switch on. One of the world’s leading life science companies has backed Paisley’s bid to be named UK City of Culture 2021. 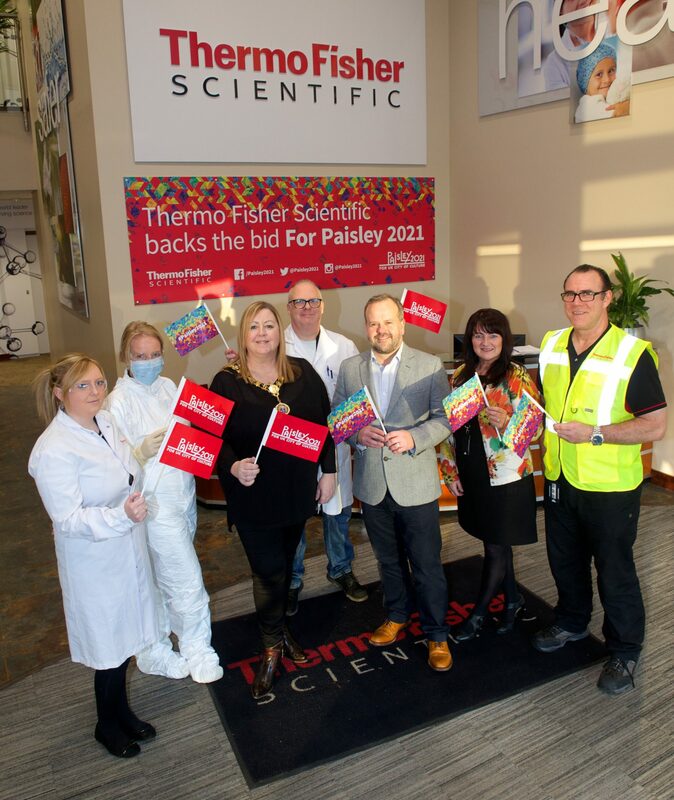 Thermo Fisher Scientific, which employs more than 700 people at its Renfrewshire base, has pledged financial backing if Paisley takes title. The town is bidding as part of wider plans to use its unique cultural and heritage story to transform its future. Renfrewshire Provost Lorraine Cameron visited the latest international firm to back the town’s ambitions and said: “As we approach a decision on the UK City of Culture 2021, it’s good to be able to express our thanks to businesses, some with global links, who have put their support behind us. “The scale of the commitment of the business community, including international firms such as Thermo Fisher Scientific, demonstrates how they have embraced the huge opportunity to boost the area’s economy. This year’s Nobel Chemistry Prize winners, pioneering scientists, Jacques Dubochet, Joachim Frank and Richard Henderson, worked with systems manufactured by Thermo Fisher. The life sciences giant has global revenues topping £15 billion and has around 65,000 employees worldwide. Its base in Renfrewshire has a history stretching back more than four decades and it has grown and expanded its manufacturing footprint and workforce in recent times. It opened a £14 million facility at the Inchinnan plant in 2015, where novel technology is used to make products for drugs which treat influenza and other diseases. 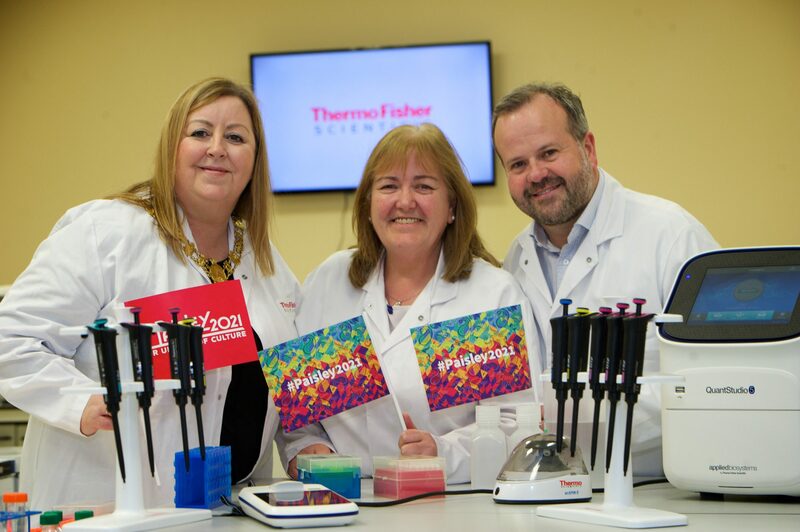 Jim Carswell, Operations Director & Inchinnan Site Leader, said: “Thermo Fisher Scientific has had a presence in the area for more than 45 years and many of our employees are local to the area. 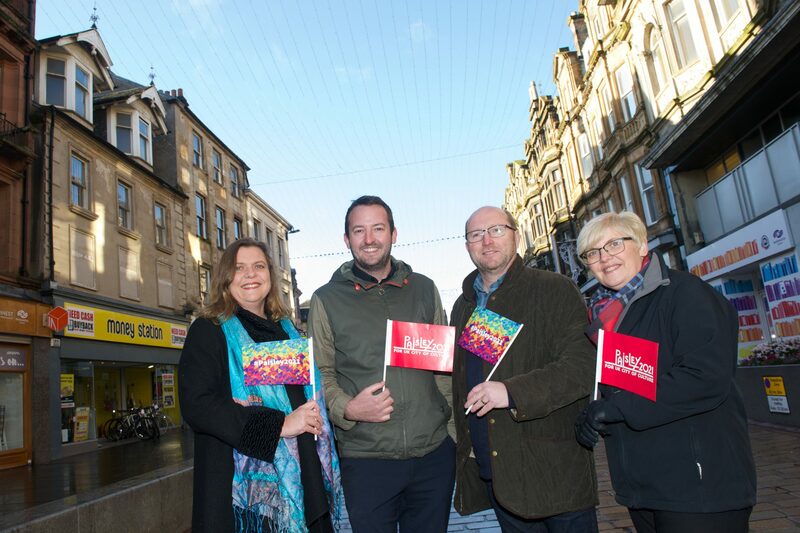 More than 200 companies have shown their support for Paisley’s bid, while a further 13 private sector organisations have committed over quarter of a million pounds if the town is successful. Thermo Fisher Scientific joins a list of sponsors including international drinks giant Diageo, which demonstrated its support by creating a limited edition of Johnnie Walker whisky. Hillington-based haulage firm Gordon Leslie Group branded a truck that has travelled the length breadth of the UK, emblazoned with the Paisley 2021 logo. 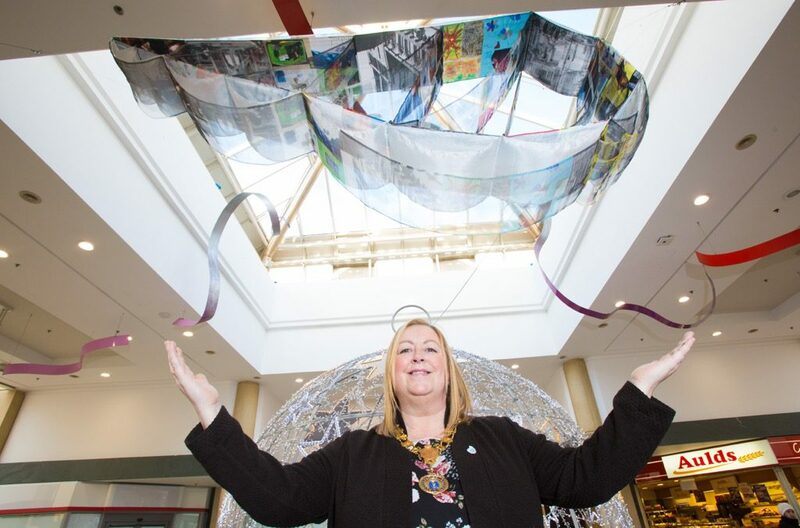 The world’s largest industrial thread manufacturer Coats, which started life in the town, has also backed the bid, while Glasgow Airport marked its formal endorsement with Paisley themed art work at the check in area. They are joined by Chivas Brothers and other businesses with local roots, Mac Asphalt, Morrison Construction, Clark Contracts and the Scottish Leather Group. WH Malcolm wrapped the backs of two trailers with Paisley 2021 branding to show its support, while intu Braehead, held a Paisley 2021 day with local musicians and youth groups. Renfrewshire Chamber of Commerce and Paisley First, which represent more than 900 businesses between them, have also thrown their weight behind the town’s title ambitions. A decision on the UK City of Culture 2021 title is expected from the Department for Digital, Culture, Media and Sport which organised the competition, next month.